Trial update for the Mayday case 2018. Information update from the Prisoners in Yogyakarta as of now, they are as well as can be expected. Even though comrade BV is experiencing shortness of breath, and now it’s beginning to get better. The trial process is very long, especially for comrade BV, AM, and W. Those whose the trials already happened on 8.11.18 have already proceeded to the trials of pleading (defendent’s defence), and before that they already receive the demands from the Public Prosecutor with a maximum penalty of 10 months at their trial on 1.11.18 at the Sleman District Court. At the moment they are being retained at Cebongan Prison, Sleman awaiting the following trial process with the agenda for the verdict to be handed down on 22.11.18. We will keep updating information for you with further developments. Indonesia: Some of the Yogyakarta Prisoners have been Released! Some Yogyakarta prisoners are free! – MD detention decision of 5 months, the term of detention served, free October 9, 2018. – OO for 5 months detention decision, deducted the period of detention served, free October 9, 2018. – MI and MEA prisoner decision 5 months 15 days, detained prison term, free 14 October 2018. – ZW and AMH detention decision 5 months 15 days, the detention period will be deducted, free October 14, 2018. There are still other prisoners undergoing the trial process including Ucil (BV). We will provide updates on any developments in the trial as soon as the information is available. Nobody is free until everybody is free! Sebagian tahanan Yogyakarta sudah bebas! Hari ini, Senin 15 Oktober 2018 sidang dilakukan untuk MC dengan kesaksian dari BV dan AM. Perkembangan persidangan akan segera kami kabari kembali. Tidak ada yang bebas sampai semuanya bebas! The events of May 1886 that took place in Chicago are a turning point in the history of the revolutionary labor movement. It was not only the fight of the workers to reduce working hours to eight hours daily that featured in this fight and led to the global fight of the proletariat for an 8 hour work day, but it was also a response of the workers to a crackdown by the bosses, and the murder of workers at the McCormick factory. This response was “Workers in arms” which called for a reaction of the working class to the killings of the bosses. It was the armed reaction of the workers when police ordered the dissolution of the Hay Market Square protest that was called against the killings of the strikers at the McCormick factory. The armed tradition of the working class and revolutionary movement was at that time closely related to unionism and the struggle for an 8 hour work day, better working conditions, wage increases, social security. And all this was seen to some extent, as a stage on the way to the abolition of the capitalist system. Such struggles, which were inspired by the events of May 1886 in Chicago erupted in many countries over the next few years in France, in Italy, Spain, Russia, Mexico, Argentina and they were characterized by the use of armed violence on the part of workers. Tags: Golden Dawn, Greece, International Solidarity, Letter, Mayday, Nikos Maziotis, Pavlos Fyssas, Revolutionary Struggle, Switzerland, SY.RIZ.A. Dark Nights is an anarchist & anti-prison PDF freesheet of resistance reports and repression news to download and print out. Two part special issue for May 2011. Four pages of UK news with an eight page European Social Struggle supplement / A3 size. 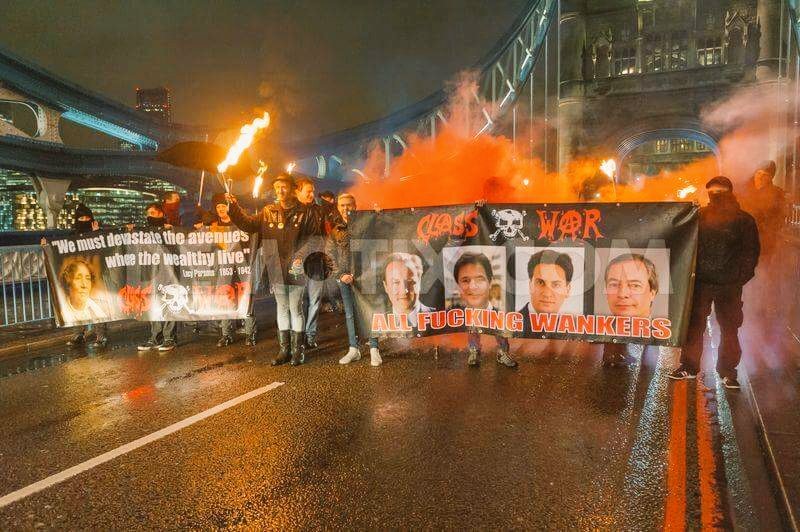 This issue carries news about the increase in subversive action across the UK and the recent repression wave against squats and autonomous social centres in the wake of the March 26th TUC Demo / Black rzocoruse.com Bloc. Also covers Telepathic Heights eviction, Stokes Croft riots etc. The longer supplement has a combative Mayday report from Barcelona, a small contribution on the topic of Solidarity by the Conspiracy of Cells of Fire in Greece, and the call for an escalated struggle against Genetic Manipulation by Swiss eco-anarchist prisoners, who are on hunger strike May 1 to 28, in Switzerland (Billy, Marco, Silvia and Costas).